Doctors co-payment - how bad is it? The co-payment announced in the recent Federal Budget is due to be implemented from 1st July 2015 for GP consultations, pathology tests and diagnostic imaging services (if it passes the Senate). Here are a few reasons why we think it’s a bad idea. There will be a $5 reduction in the relevant Medicare rebate, which will have to be funded either by the patient or the doctor. A sum of $3.5 billion dollars is expected to be raised from the co-payment - to be collected in $5 increments by doctors. This is part of a continuing shift to move the administrative burden for tax compliance to private enterprise, even as successive governments continue to promise tax reform and cuts to red tape for business. Doctors choosing not to pass on the co-payment will also lose their bulk billing incentive payment (now 'Low Gap Incentive'), where applicable, making the cost to doctors for continuing to bulk bill much more significant than merely the $5 cut to the relevant Medicare rebate. The second component of the proposed co-payment is a $2 charge intended to compensate doctors for the additional burden of having to collect a co-payment from every single patient. How much time does $2 per consultation buy? Implementing a payment collection system for these amounts will be especially onerous for practices that predominantly or exclusively bulk bill. Many GPs already charge a discretionary co-payment. Forcing all doctors to charge a co-payment through a Medicare rebate reduction therefore has the largest impact on those who can least afford it. Despite a significant Federal budget deficit for the foreseeable future, none of the extra revenue raised from the measure is to be put towards rectifying the budget. It is all to be allocated to the Medical Research Future Fund. While intended to send a price signal that should lead to greater efficiency in the health care sector, and a reduced dependency on Medicare, General Practice is already one of the more efficient components of the Medical system. The AMA and the AHHA have reported that there was no industry consultation and little modelling undertaken prior to the announcement of the measure. Senior medical research figures have said there was also no consultation on the need for, or form of, a Medical Research Future Fund. Labor, the Greens and the Palmer United Party have all indicated that they will oppose the measure in the Senate. If the numbers hold, this gives the co-payment no chance of becoming law - in its current form at least. While we agree generally that new ideas may be needed to ensure that public health is sustainable into the future, this measure is an ill-conceived, blunt-force object based more on economic ideology than informed consultation with those who will be most affected by it. In our most recent newsletter we offered a little insight into the life of an accounting firm and what the end of a financial year means for us. In particular, the start of a new financial year is a time where things quieten down for us just a little and we have a couple of weeks to take a breather before we start up all over again. We're taking the opportunity that presents us to reward our hard-working and faithful team with an afternoon out of the office. 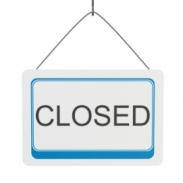 This means we'll be closing the office for the afternoon from around 1:30pm on Tuesday, 22nd July. We hope this won't inconvenience you too much and we will still maintain our standards of accessibility and personal service as best as possible during this time. If you need to speak to a Dewings team member urgently that afternoon, please call our Managing Director John Manning on 0411 824 236, and he will arrange for the appropriate person to call you back. If you have anything you would like to drop off, please feel free to make use of our locked drop box on the western side of reception. We will also be checking our enquiries@dewings.com.au email address regularly, so if you would prefer to email, please use this address and we will arrange for someone to contact you. You can of course email your Dewings team member directly as usual, however they may not check their email until the conclusion of the event.